I don't have your media, so i cannot hear any specific audio, but in my Pro Tools session, i do see audio at the place you say there should be. I did not make any adjustments to the FCPXML that you gave us. To reproduce your findings, do i need to disable something; or is the clip you disabled originally already disabled in the FCPXML that you sent. Can you please attach your fcpxml and describe where on the timeline (timecode) we should expect to see this problem? After TONS of trial and error and borrowing a friend's ProTools, I found that the issue was prevalent in dialogue clips that were created from syncing the video clip with external audio clip using FCP's SYNC USING AUDIO. BUT, not all clips did it. 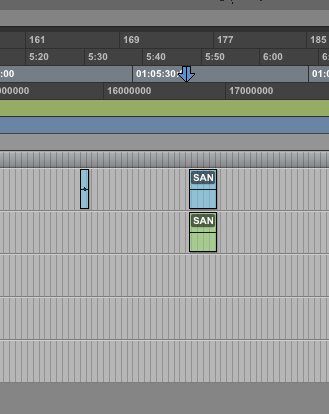 My workflow: After I sync the two, it makes a 'Sync'd Clip' which I use in the timeline. But since the camera audio (Storyline) is typically crappy, I disable it and leave the lav mic enabled (Connected-Linked Dialogue). 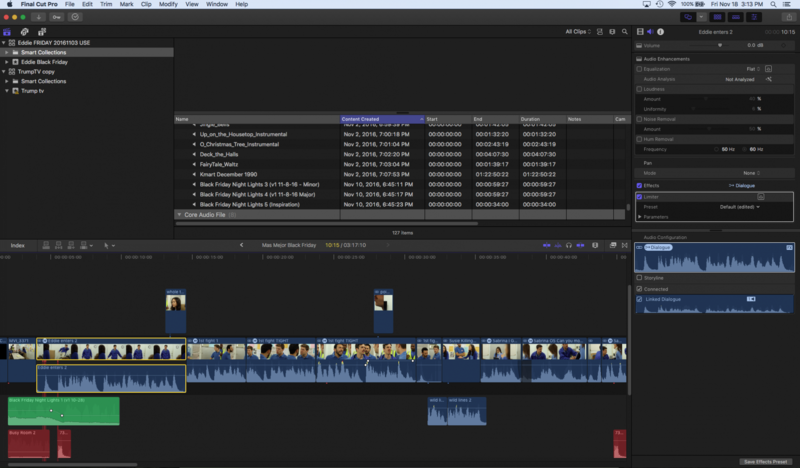 I output an XML and reimport it into FCPX to test it. All works well, all files there. But when I use that XML for an AAF it's missing a lot of those clips. Yes, all roles are set. I even tried every combo in settings for X2PRo (uncheck discard disabled clips, reference wav files in place). Here's the FCXP library I used to troubleshoot. Turns out, due to upgrading FCPX over the years, some of the selections for audio roles were not being properly maintained. Upgrading to 10.3, and moving the project over to a new library revealed which clips had that error. I just re-applied the roles, exported a new XML, and everything worked great. Last Edit: 2 years 5 months ago by ReidN. Using the xml you supplied "Sanctuary_Dialogue v2.fcpxml" (which is 8,468 KB) we get the attached AAF. 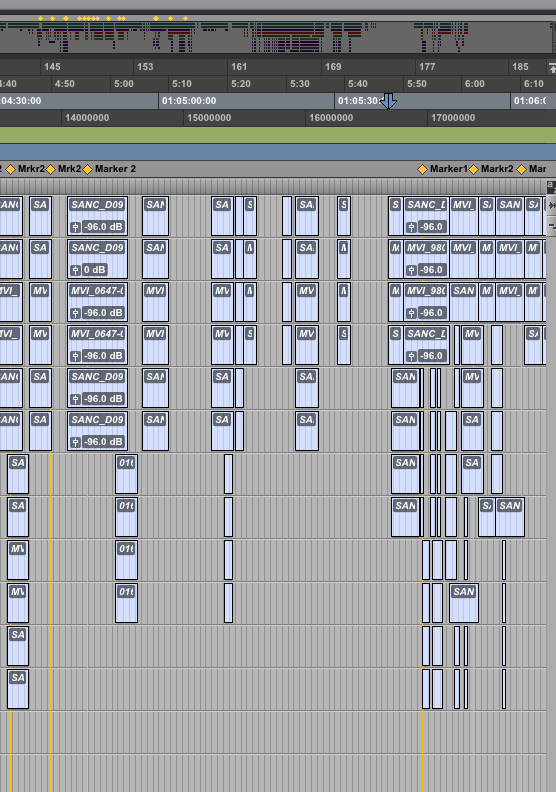 Can you ask your sound designer to load this AAF into his ProTools and detail a couple of the tracks that are missing. When we process the above XML to generate the AAF there is also a list of ignored audio filters and noise reduction, which your sound designer should also be aware of.. If you could copy a smaller section of the XML that has this behaviour then would you be able to supply the XML and the essence for us ? We will provide FTP drop details, otherwise would it be possible to arrange for a copy of all of the essence to generate the whole AAF to your sound designer. I have upgraded both X2Pro and FCPX to their latest versions and this is still an issue, unfortunately. Have you upgraded X2Pro to 4.0.10, and is this still an issue ? We cannot work out why the AAF we create here is different from the AAF you supplied, can you please advise what version of X2Pro, & OS you are using ? I'm glad to hear you got more audio to be shown on your end. Progress! If we process the XML supplied to create an AAF in PT we see the picture "lab created", if we load the AAF you supplied in PT we see the picture "ReidN created". 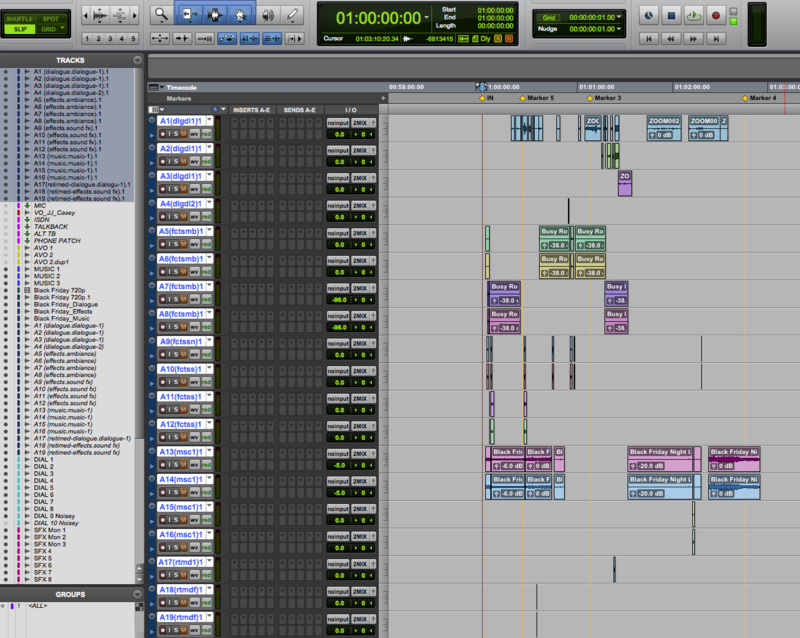 Clearly we can see a lot more audio at 01.05.30 in our AAF than yours. Can you please confirm that the XML supplied to us is the one you used to create the AAF. If not can you transfer this supplied XML through X2Pro to create an AAF. If you look under roles in X2Pro do you have dialogue enabled ? An example of all of the dialogue being missing would be here: 01:05:39:04 - 01:05:58:12. 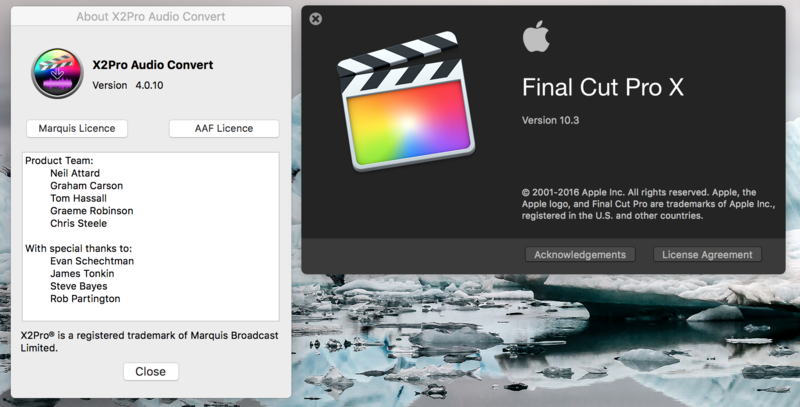 We have raised as a ticket here, can you advise which clip are being dropped and where on the FCPX timeline. they appear.